Sony Ericsson are releasing their x10 mini pro in white as a little something for the summer. 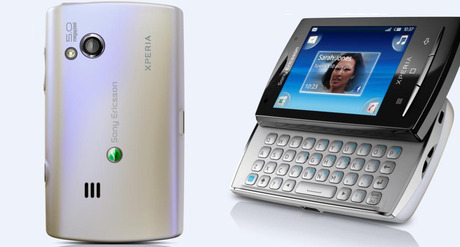 The x10 mini is a scaled-down version of Sony Ericsson’s flagship phone – the X10. The strapline is “Mini but Mighty” and it does pack a lot of power in its 90 x 52 x 17 mm frame. It’s a slider handset with a 5 megapixel camera and a high speed internet receiver built over an Android operating system, giving you access to all those apps. The handsets have a reputation as great camera and video phones, though the user interface can be a bit counter-intuitive. There you go. That’s why you should get a white phone this summer.